If your having trouble finding activities during the summer in Dubai and it is simply too hot to play outside play dough is the perfect thing. Play dough is a fun creative activity for children and a great way to train little muscles in their hands to develop dexterity, build strength and refine fine motor skills! Encouraging your child to use both hands to roll, shape and even pound play dough can improve their bilateral hand coordination! 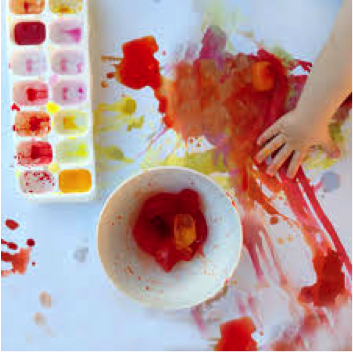 Play dough can be a great outlet for emotional stress and a wild imagination so simply refrain from distracting them and just let them play freely. Not many nurseries are willing to share their secrete recipes but we simply couldn't keep this one to ourselves. We at Kids Island and Cocoon Nursery believe in "sharing is caring!" so here is our recipe for play dough we actually use. Allow it to cool down then take it out of the bowl and knead it vigorously for a couple of minutes until all of the stickiness has gone. This is the most important part of the process, so keep at it until it’s the perfect consistency. If it remains a little sticky then add a touch more flour until just right. Store it in a tupperware box and place it in the fridge to make it last longer. It's not harmful if you eat it but if your child does eat too much it could cause a stomach ache. Refrain from eating it and please keep it away from animals.